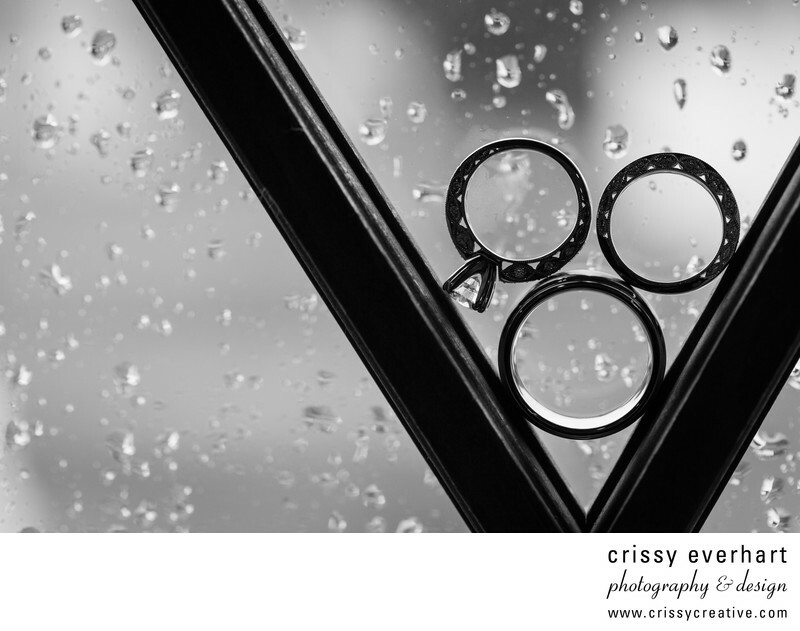 Black and white photo of the wedding bands and engagement ring in the bride's window on her wedding day. I wanted to do something unique with the rings to show the rain but without looking gloomy. When I saw the windows and wooden cross thingies I immediately knew what I wanted to do, and I balanced the rings in there for a silhouette shot.